Dan Brown with his novel, 'The Da Vinci Code' can be credited with popularizing the fact that there were many Gospels that did not make it to the New Testament Canon. To be sure, Dan is right in this (though wrong about many others). There are, possibly as a surprise to many lay-Christians, gospels attributed to Peter, Philip, Thomas, Mary Magdalene, and one even to Judas! 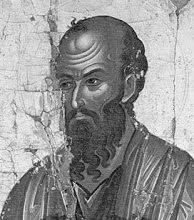 No one really believes that the apocryphal Gospels were actually written by Peter or Philip or Mary, let alone by Judas (who supposedly hanged himself or died of a busted gut). But then, neither are the canonical gospels written by the authors attributed to them! The four canonical Gospels that have come down to us are the ones that the Church that won the battle for supremacy declared as authoritative. The others are apocryphal; they lost the race! Most of the apocryphal gospels we have, are considered later than the canonical Gospels. The Gospel of Thomas is a sayings Gospel much like the hypothetical Q source we talked about earlier. It might even be textually related to it (assuming the Q hypothesis). It does not have a nativity or passion narrative. In fact, its narrative is bare-minimal – mostly a question and answer session between Jesus and his followers in which the sayings are framed. If you ever wondering what mischief the boy Jesus got into, there are the infancy gospels. We have many more epistles, Apocalypses and Acts of many of the disciples. We even have copies of supposed letter exchanges between Jesus and King Abgar. As you may have guessed, these writings did not make it to the New Testament Canon which is why they are fairly less famous. The Nag Hammadi library has the text ‘the Sophia ofJesus’ which seems to be clearly cutting and pasting the non-Christian ‘Eugnostos the Blessed’ into sayings spoken by Jesus. The history of how thecanon evolved is very interesting and it happened over a long period. The disputes over which texts are canonical were never fully resolved. Bibles still have variations on the books they include. The four gospels, the Acts of the Apostles, the Pauline epistles are a common feature now, however. We also know that historical accuracy was not really a criteria that was used to evaluate which books made it to the canon. If fact, by the time the canon was being formed, it was already too late to fact-check the stories, not that there ever was an effort to do so. Salvation: What does it take? Jesus died for the atheists too! The inerrant word of God?